The Beatles Collection » 08. Beatles for Export. Part 2 – Singles 1964-1970. 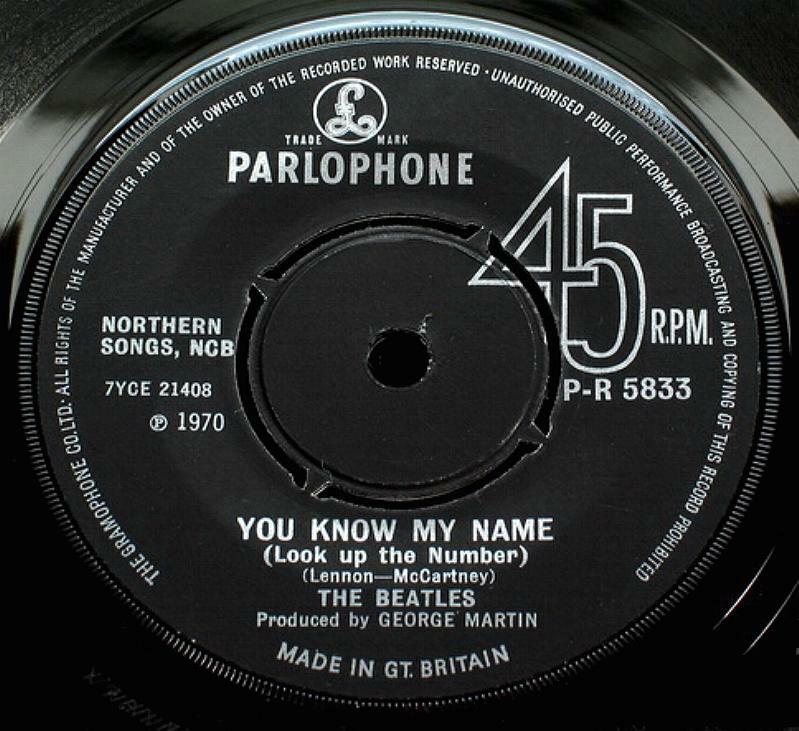 Let It Be / You Know My Name (Look Up The Number), Parlophone P-R 5833. 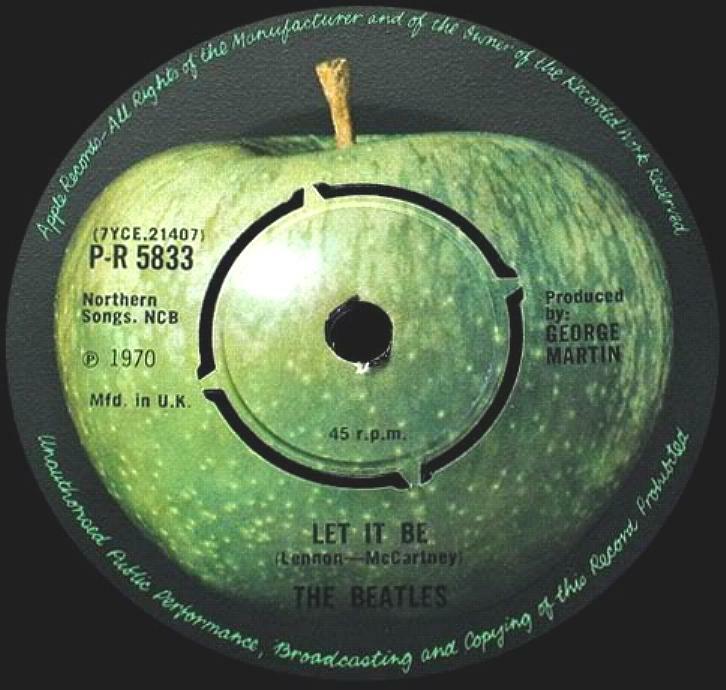 Let It Be / You Know My Name (Look Up The Number), Parlophone P-R 5833, Stereo, 1970. Manufactured export issue. Push-out center. Export issue which features “The Gramophone Co…” rim text in upper case. “MADE IN GT. BRITAIN” text is in lower case. 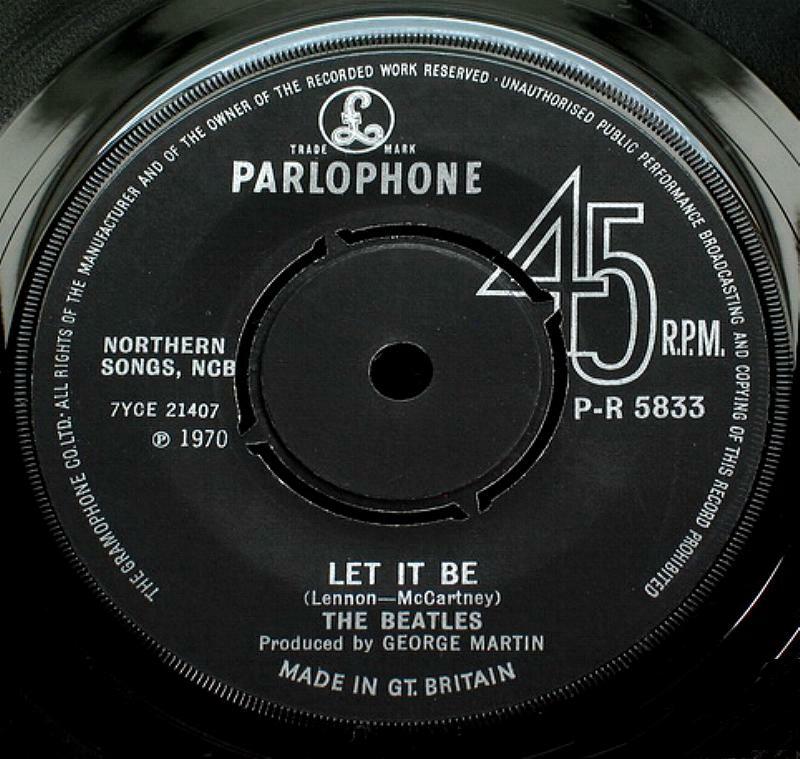 There are also known pressing of this export which feature “The Parlophone Co” rim text on the side 1 and “Gramophone Co” rim text on the side 2. Without tax code. Matrix numbers: Side A: 7YCE 21407-1U, Side B: 7YCE 21408-1U. 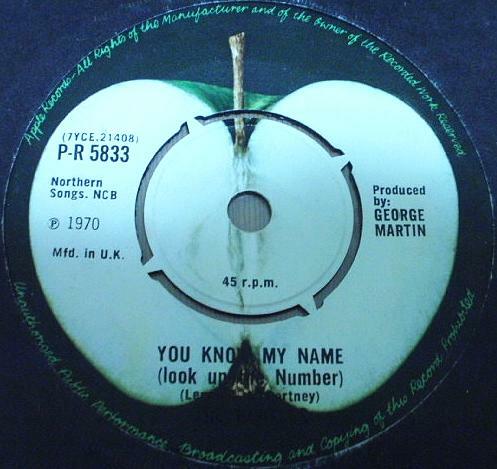 Second variation issued on Apple Records. Single has export catalog number: Apple P-R 5833. Dark apple label with “Mfd. in U.K.” on the left side. Push-out center. Unknown how many copies were made. Matrix numbers: Side A: 7YCE 21407-1U, Side B: 7YCE 21408-1U.